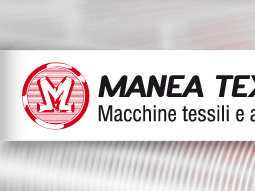 Manea Textile collects the experience centennial of Officine Manea. Born in July 2014 after the restructuration of the Officine F.lli Manea srl, the new company wants to give a boost to the textile business of the historical Italian brand. It offers a wide range of temples, born to cover the most various production needs. It also propose the tuck-in devices CMX, which made famous the brand Mania in the market as example of quality and productivity.